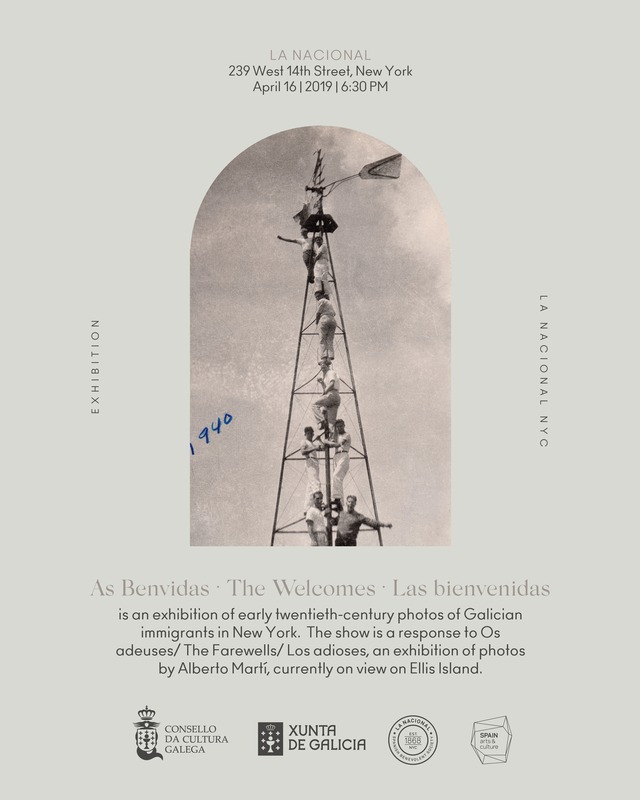 The Welcomes/ As benvidas/ Las bienvenidas, an exhibition of early twentieth-century photographs of Spanish (Galician) immigrants in New York, opens at La Nacional (239 West 14th Street) on April 16, 2019. Sponsored by the Council of Galician Culture, the Spanish Consulate in New York, and La Nacional – Spanish Benevolent Society, the exhibition, featuring spectacular photos scanned from private family albums, is meant to complement the show of photographs by Alberto Martí –The Goodbyes/Os adeuses/ Los adioses– that is currently on view through May at Ellis Island. “The Welcomes” is curated by James D. Fernández and Luis Argeo, authors of the book Invisible Immigrants: Spaniards in the US (1868-1945), and designed by Noelia Lecue. Centro Español-La Nacional, founded in 1868, is the oldest Spanish benevolent society in the US. 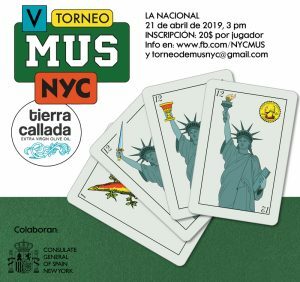 “The Welcomes” is a small exhibition curated by James D. Fernández and Luis Argeo, who have spent almost ten years digitizing the family archives of descendants of Spaniards who emigrated to the US. 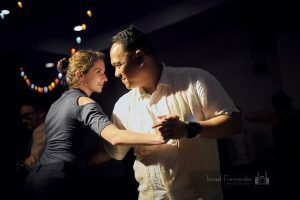 In counterpoint with “The Goodbyes”, which highlights the sweet sorrow of partings, “The Welcomes” documents and celebrates the bitter joys of arrivals. The show uses unique and private images from family albums to help us imagine how the advice and pleas uttered through tears on those Galician docks continued to echo in the minds of the emigrants as they struggled and adapted to their new lives in the US.